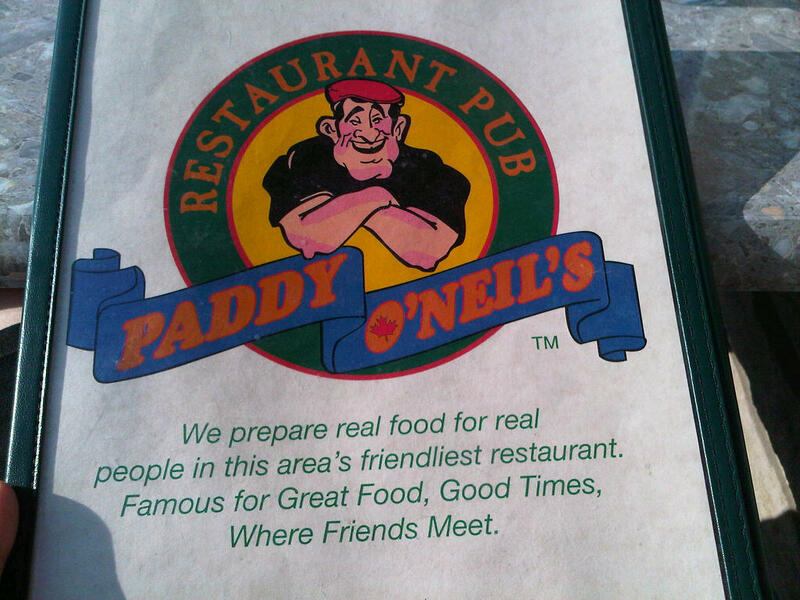 On my way up to Goderich to check out Behind the Bars (see my last post), I stopped at Paddy O’Neil’s on The Square in Goderich for some dinner. O’Neil’s is part of the Hotel Bedford which is the only hotel right on The Square. 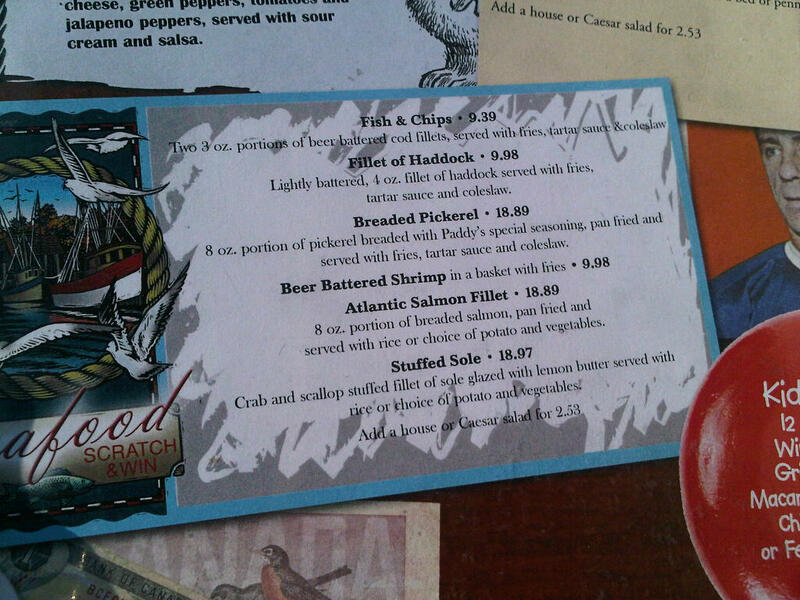 O’Neil’s has a variety of food, ranging from fresh local fish and pastas to chicken wings. 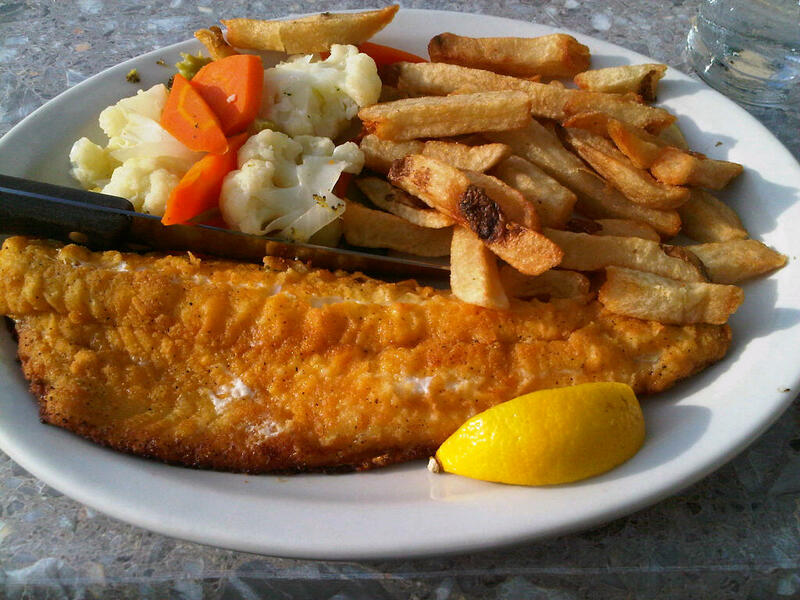 I tried the breaded pickerel ($18.89) which came with your choice of potato and steamed veggies. Very tasty! 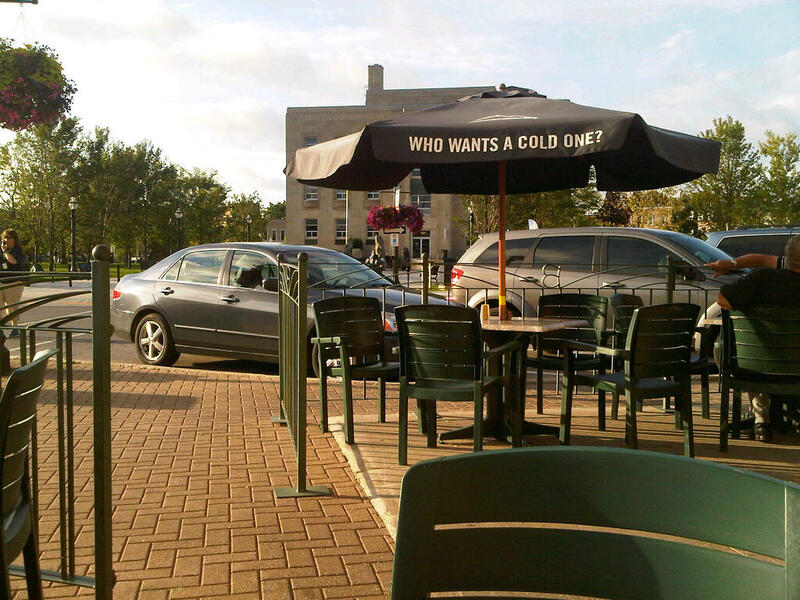 The service was excellent too. The main dining room was pretty full on a Thursday evening, so I sat on the patio which had a nice view of the Courthouse. 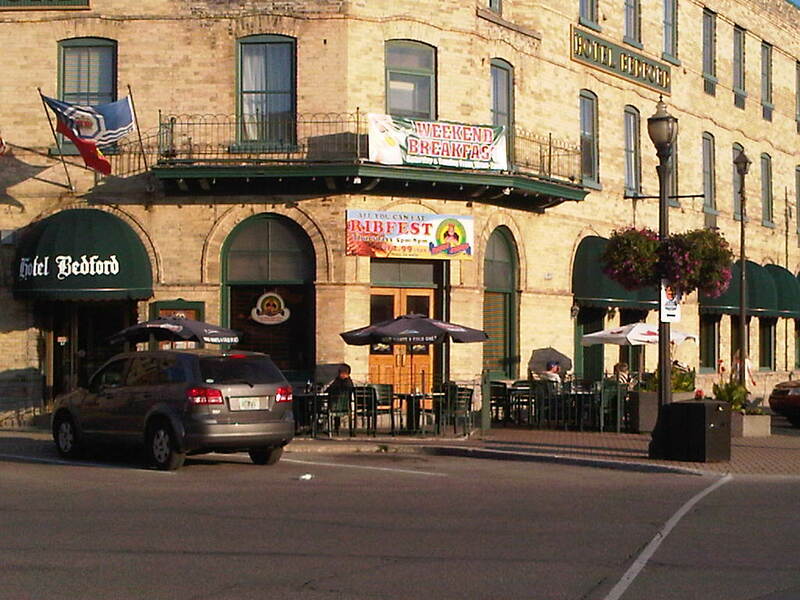 Afterwards, I walked around The Square to see the improvements Goderich has made. After touring Behind the Bars, I headed down to Goderich’s main beach to catch the sunset. 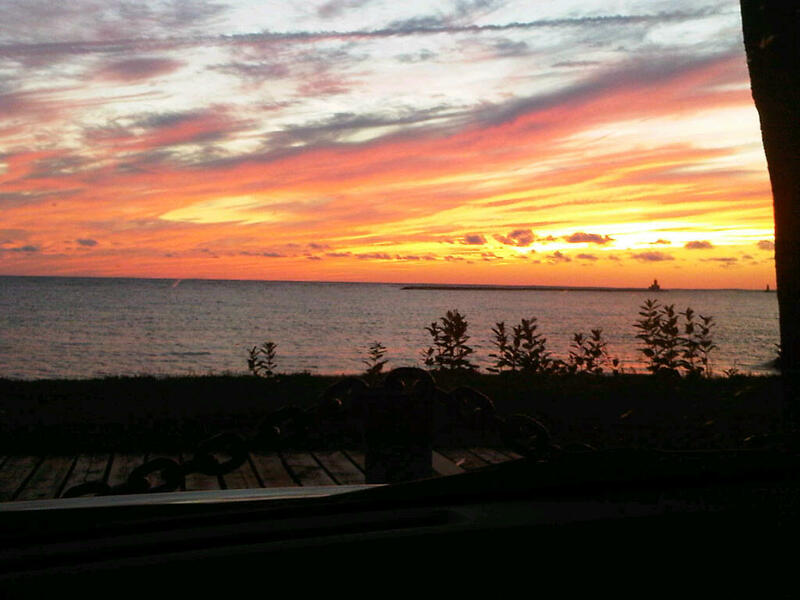 I’ve heard that Goderich’s sunsets are rated as some of the best in the world. Such a beautiful view! ← Creek Side Pig Roast a hit with this Diva!